A hard-working and highly proficient engineer Kostyantyn has been working in commercial software development since 2010. Kostyantyn started his career with embedded systems projects based on AVR and ARM microcontrollers, for industrial devices. He was using C/C++ programming language, Qt library, and embedded Linux OS. His responsibilities included software development as well as preparation technical documentation for the manufacturer of electronic devices. Also he has a team-lead experience. Since 2012 Kostyantyn was switched to the mobile development, and started as IOS developer and continued as Android developer further. 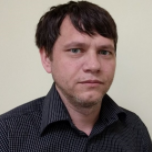 Kostyantyn has proven experience in software development as a team member as well as technical lead. At this moment he's focused on the mobile development for the Android based devices and looking for new challenging projects. The WasiHub vision is to create and utilize blockchain technology to revolutionize the mineral mining industry by incorporating the IoT and DLT (Digital Ledger Technology) into the mining sector bringing optimization and transparency to miners, investors and governmental oversight. This blockchain implementation will generate the most precise recording of the entire logistical process. Viking SCADA is a Web based service with a cloud server for monitoring and gathering information about all sensors located at the oilfield, water and other industries. Supervisory Control and Data Acquisition (SCADA) is an application where a network of devices uses sensors and control outputs to receive data about a system in order to control that system. Used SCADA, Modbus expertise. Solar Manager project is an IOT solution for optimizing self-consumption of produced power for house owners with a photovoltaic (PV) production system. EcoPlant is a cloud based platform, for infrastructure systems such as air compressor systems, chillers cooling/heating systems and vacuum pumping systems. The platform monitor, alert, control and recommend, by connecting directly to the machines (PLC) and other sensors that installed on the output lines. A unique algorithm designed to learn on real time the current machine status and act towards energy efficiency. IOS/Android application is a taxi/cab booking app is now available in India, Saudi Arabia, Jordan, UAE, Egypt, Nigeria, Azerbaijan and Malaysia. The app displays the available cars in real-time mode on the map. Users can book a taxi and track the ordered car. The user can also rent a car for a certain period. Additionally, the user can create a schedule of regular trips (calendar). Android application allow users to run several different tests in order to check device condition on certain parameters like - communication, hardware sensors accelerometer, gyroscope etc, multimedia, hardware and performance for particular device. Mobile application for existing e-commerce web portal, allows user to overview existing products, and buy it’s using few different payment method like PayPal, etc. A completely unique puzzle game with a novel concept. Transform simple lines into works of art with the swipe of a finger in this unique and beautiful puzzle. Allows user to buy more content or keep playing and get it for free. An emulator of music instrument, allow users to play music like on real instrument. In application also has implemented very useful feature like composer which allow users to create composition and share it's with their friends or community. An application contain free content but not only there are many additional contents that can be buy. Development of cross-platform object-oriented library for building user interface. Responsibilities: Participated in architecture design, development new features, writing technical specification. Architecture design, development new features, leading the team - team of 3 engineers, writing technical documentation.